One of my big priorities over the last 4 years has been to bring the Foreign and Commonwealth Office (FCO) closer together with domestic departments. The fact that I was previously Permanent Secretary at BIS has helped a lot, and so has the support of other permanent secretaries and colleagues. Why does this matter? I see 2 fundamental reasons. The first is that, in an age of globalisation, it is simply unrealistic to draw a clear line between domestic and international policy or service delivery work. There are so many areas now in which international events directly or indirectly affect domestic policy (think immigration, crime, energy), just as there are so many areas of international work where the lead and expertise lie with domestic departments. That’s obviously true in much of our EU work, but also on climate change, trade policy, higher education and health cooperation. Even some of the more “traditional” foreign policy questions like Middle East instability are increasingly seen through the prism of security on our streets. Whitehall institutional structures and working practices need to reflect this reality. This does not mean that we no longer need a professional Diplomatic Service. 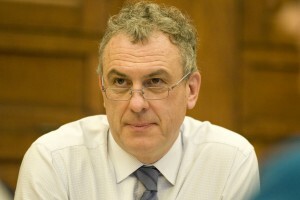 In fact I think we have even more need in these interconnected days for expert and detailed knowledge of foreign countries, markets and jurisdictions and how to operate in them. It’s important to have professional analysts, linguists, negotiators and representatives out there around the world. But it also definitely means that people in the Foreign Office need a closer understanding of domestic policy and the priorities of other departments, as well as stronger networks across Whitehall. The second reason is that in the current (and future) resource environment there is just no space for artificial divisions or duplication between departments. We need to be excellent at working together on shared, cross government agendas. I’m pleased to report that we’re doing a lot of work on this, both overseas and in London. In many embassies abroad Foreign Office people are a minority of UK-based staff. Did you know that there are about 4000 staff from 26 departments and agencies working in about 160 of our FCO missions around the world? Departments are getting better through our One HMG Overseas programme and our joint Network Board, at working together smoothly and efficiently. We’ve made progress in collocating our buildings and harmonising the terms and conditions of staff. We are working to improve joint business planning. Of course there is a lot more to do! I think it is right that the overall leadership in any country lies with the Foreign Office Head of Mission, but there needs to be space for different departments to pursue their objectives within the collective framework. In the UK we face a challenge to improve collective, coordinated international policy making and delivery. There are plenty of great examples, such as our efforts on Ebola in Sierra Leone. The National Security Council, though not perfect, also shows how this can be done. It has brought together leading officials from different departments into a closer community who are used to working on problems together and providing joint recommendations for collective, evidenced ministerial decisions. We’re also looking at new structural arrangements like joint physical and virtual units between departments on international themes or geographical areas. The new International Energy Unit (DECC/FCO led) and the International Trade Policy Unit (BIS/FCO led) are recent examples. This is not a simple agenda given our traditional, dare I say over defensive, departmental mind-sets, but we have to keep pushing ahead as we look towards the next Spending round. Working together also means finding new ways to develop, share and retain people and skills. We now have 505 staff working on inward interchange from other departments in the FCO. An increasing number of our regular FCO staff are home civil servants. All SCS level jobs in the FCO are advertised across the whole of the Civil Service. We have about 10 Heads of Mission abroad who have come in from other parts of Whitehall. All members of the FCO Management Board have worked in other departments, international organisations or the private sector. I am very keen that more FCO people get experience in other departments at different stages of their careers. We also have good things to offer to people interested in working abroad. In the FCO last year we opened a new Language School to train our diplomats. This is available to people from other departments going to work abroad. So far we have had students from DfID and MOD. 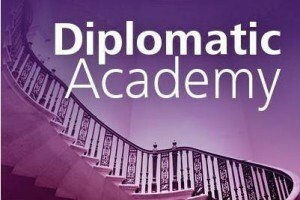 This week we have formally opened our new Diplomatic Academy. You can see more details here. This will be a centre of excellence for teaching the knowledge and skills people need to work abroad. The 11 Faculties of the Academy will cover things like the EU Treaties, working in multilateral organisations, international economics, negotiation, and the basic tradecraft of diplomacy (yes: how to win friends and influence people!). And for our local staff working abroad there will be training on understanding the UK and our Parliament. The curriculum is dovetailed to our Civil Service Learning offer. As well as traditional face to face events the learning materials will be available digitally. I hope the Academy will be the next big step forward on the important journey of bringing the FCO and the rest of Whitehall closer together. And I hope this blog will encourage more people around Whitehall to think about spending some time working abroad.